Don’t replace The Holy Spirit with the Book. 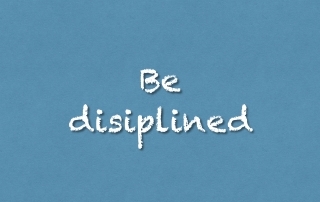 Be disciplined. That is more than routine. Discipline is pulling away from wandering off doing your own thing, getting distracted and keeping on the path you are on with Him. Do this every day, we have a tendency to wander.